Clients give many reasons for not using the services of employment agencies when they are seeking work: too difficult to find a good agency, it’s embarrassing to be out of work, too much effort, and other excuses. While it can be difficult getting yourself motivated to use employment agencies in your job search, the benefits far outweigh any excuse a job seeker can come up with to not go. * Resume assistance: Employment agencies offer resume assistance. This includes helping you to build a resume from scratch, and helping you tweak your existing resume to make it more job search-friendly. They can help you adjust your resume to fit any job that you apply for, or they can also help you create several different resumes that target a particular career field or even a particular job. 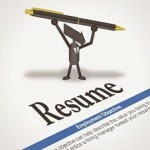 They can also connect you with professional resume writers that can create an effective resume that is guaranteed to get you interviews. * Job search assistance: Employment agencies often have the inside track on new job openings, and many of these agencies have connections to employers that you won’t find through traditional job search means such as newspaper help wanted ads. Personnel at employment agencies spend a lot of time networking and building relationships with employers so they hear about jobs first and have first dibs on sending applicants for interviews. * Interview skills: assistance: Employment agencies also offer group classes and one-on-one sessions to help you polish your job interviewing skills. For many job seekers, the interview process can be the most stressful part of finding a new job. These agencies will help you come up with answers to common and difficult interview questions. Most agencies will also do some role playing with you to help you practice how you will act, speak and answer questions in an official job interview with a prospective employer. These practice sessions will reduce your stress levels and make you less nervous when at an interview. Many hiring officials will pass over an applicant that is too nervous, so this is a huge benefit to you. * Support: Employment agencies are there to help you, not to pass judgment or lecture you. These professionals will take some of the burden and stress of job hunting and the hiring process off your shoulders and help you as you go through the process of seeking new or better employment. 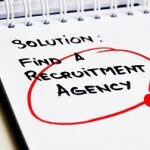 Most employment agencies provide their services at little to no cost to the job seeker. Some employment agencies are non-profit agencies run by grants and donations and their services are gratis. For those that do charge a fee, if you are placed in a position with one of the organizations they work with, they pass the cost on to the employer. Otherwise, they charge you a minimal fee. Other types of employment agencies include employment staffing and temporary employment agencies. Nice Post, keep up the good writing nice site with great writting.